CarBon is a Marie Sklodowska-Curie Innovative Training Network (MSCA-ITN) on controlling cartilage to bone transitions for improved treatment of bone defects and osteoarthritis in the Horizon 2020 research and innovation programme of the European Union. In total, 14 Early Stage Researchers (ESRs) will be appointed by the CarBon consortium. Many people suffer from diseases of the locomotor system, such as bone defects or osteoarthritis, for which current treatments are insufficient. Understanding and controlling the dual character of cartilage is pivotal: insufficient transition impairs bone healing, and undesired transition to bone leads to osteoarthritis. In CarBon, state of the art in vitro, in silico and in vivo models will be uniquely combined to elucidate how this transition is orchestrated and how it can be modulated. In a multifactorial approach, a network of 14 young scientists will aim to identify the biological and physical factors that determine the fate of cartilage. Knowledge from the fields of tissue engineering, cartilage and bone developmental biology and pathobiology will be combined with skills from the disciplines of cell biology, computational modelling, biotechnology (bioreactors, biomaterials) and drug discovery. The consortium consists of partners from both academia and industry with excellent scientific qualifications in multiple disciplines. Each ESR is appointed at one of the consortium partners. During the appointment, secondments will be performed at the premises of other partners to ensure multidisciplinary training and close collaboration. ESR-8 at LifeTec Group will focus on the development and validations of ex vivo disease models of cartilage and bone making use of our ex vivo osteochondral platform (link). These models will then be used to test whether modulation of the mechanical environment using bioreactor technology can be used to treat the diseased tissue. In addition, the ESR will test the effect of new biomaterials developed within the consortium on repair of cartilage and/or bone defects. ESR-8 will be conducting his/her research activities at our company LifeTec Group which is based in Eindhoven, The Netherlands. ESR-8 will work at LifeTec’s premises in a multidisciplinary team of bioengineers and biologists under supervision of Linda Kock. Coherently with the Marie Curie Training Program the ESR will be involved in many different aspects of research, and will work closely together with some of the other ESR’s within the network. Furthermore the ESR will take part in training programs, summer schools and workshops, and will be sent for secondments at several of the other institutions that form the network. For more information about LifeTec Group, visit LifeTec Group.com. For specific questions about the vacancy, contact jobs@lifetecgroup.com. Please note that the application procedure is described below and that applications via our website or e-mail will not be considered. An ideal ESR candidate will hold a Master’s degree and have excellent marks from his/her previous studies and courses along with experience in one or more of the relevant fields. Excellent written and oral communication skills are a must. There are strict eligibility requirements for the ESR positions in MSCA-ITN. Please ensure that you qualify before applying, as ineligible candidates cannot be considered. Applicants should not have resided or performed their main activity (work, studies, etc) in the country of the host institution for more than 12 months in the 3 year period immediately prior to the start date of the research. Applicants for the ESR positions should be in the first 4 years (full-time equivalent) of their research careers and not yet have been awarded a doctorate. This 4 year period is measured from the date of obtaining the degree which would formally entitle to embark on a doctorate. MSCA-ITN offers an attractive salary and working conditions. 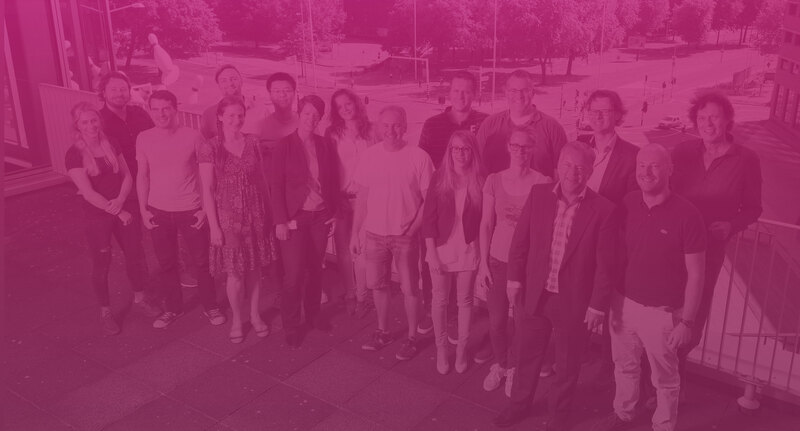 A unique feature of MSCA-ITN is that during the research, ESR students will be given the opportunity to perform secondments at the facilities of other consortium members. ESR students will benefit from a dedicated training program in the various fields of expertise of the consortium partners. Salary is complemented with a mobility allowance. To apply for this position, send your CV and motivation letter before February 28th to carbonrecruitment@erasmusmc.nl. Please state the vacancy reference (CarBon ESR-8) in the subject line. Applicants whose first language in not English may need to meet the English language requirements of the institute. If applicable, further details will be provided when short-listed for interview.